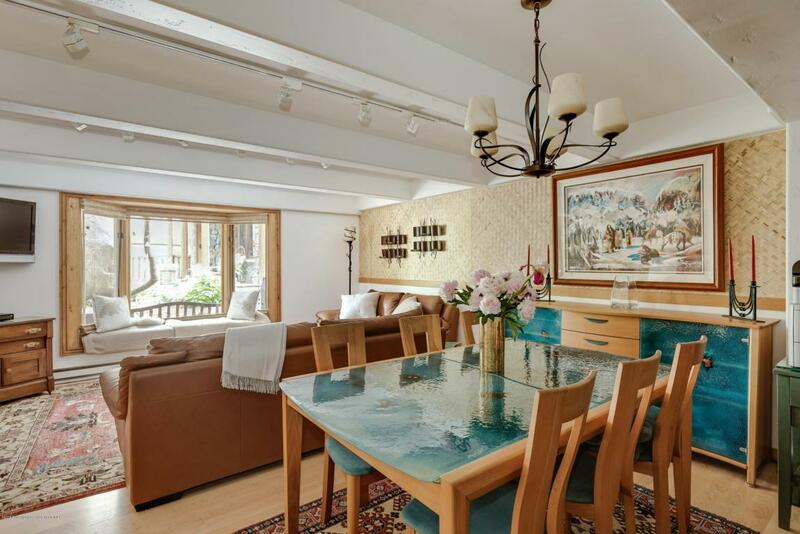 901 E Hyman Avenue #2, Aspen, CO 81611 (MLS #154989) :: McKinley Real Estate Sales, Inc.
Aspen's best kept secret. This spacious two bedroom two bathroom condominium is tucked away in the most ideal location in the Aspen core. Nowhere else can you find peace and solitude only two blocks from the heart of town. This newly remodeled street level property has ample onsite parking and over 700 SqFt of private outdoor space to enjoy beautiful Summer sunsets. After a long ski day enjoy walking home to a wood burning fire and generous storage for ski gear and all the Summer toys. With no rental restrictions and lowest HOA fees in town-this property is a win for any buyer that loves everything that Aspen has to offer. Listing provided courtesy of Compass Aspen. Listing information © 2019 Aspen/Glenwood MLS. All Rights Reserved. Information Deemed Reliable But Not Guaranteed.